WAKISO – Residents of Nabweru division in Wakiso district have accused soldiers who were deployed to patrol villages of constantly stealing from them (residents). The soldiers were assigned alongside Police in an effort to curb crime, such as robbery. The affected residents of Kawanda, Matugga, Kagoma and Maganjo, claimed that the soldiers, who start their operations at 8:00 pm, forcefully take their money. As a result, residents of Kawanda-Kirinyabigo and Matugga held village meetings condemning the soldiers’ unbecoming behaviour. The meetings in Matugga and Kawanda were called after the Nabweru division chairperson, Salongo Maseruka, received complaints that soldiers were mistreating residents. However, Maseruka, also said that though there were some issues that needed ironing out, most of the complaints were exaggerated. “We cannot afford to have soldiers taken away because the crime rate has drastically gone down ever since they were deployed. The few issues that residents complained about like confiscation of IDs will be addressed with the relevant officials,” he explained. “Generally, the crime rate has reduced ever since the soldiers were deployed and I must commend them for a good job done so far,” he added. 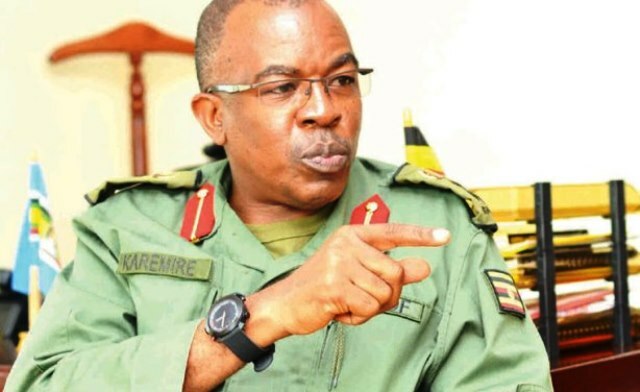 In response to the accusations, the UPDF spokesperson, Brig. Richard Karemire said he would not comment on the matter on a news website but rather communicate to the soldiers.